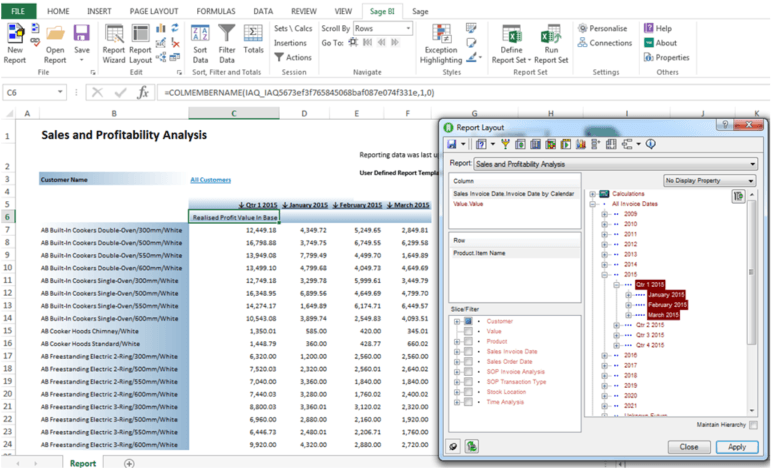 For Excel lovers (or non-lovers), Business Intelligence (BI) is a great way of analysing your Sage 200 data and combining it with all your favourite Excel functions AND it’s free! 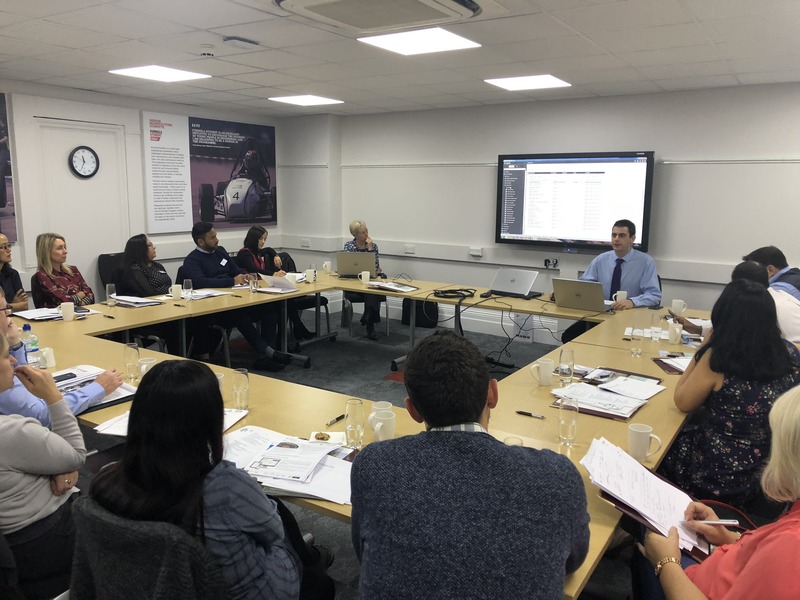 Business Intelligence enables you to look at various trends throughout your business such as late deliveries, who your top customers are or even crucial financial information! 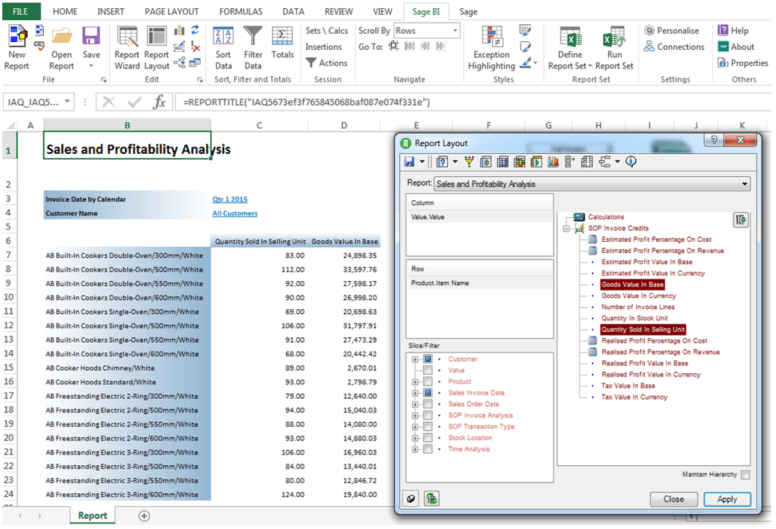 You do not need to be an Excel guru to use this brilliant module. Whatever your role in the company, there will be reports for you! 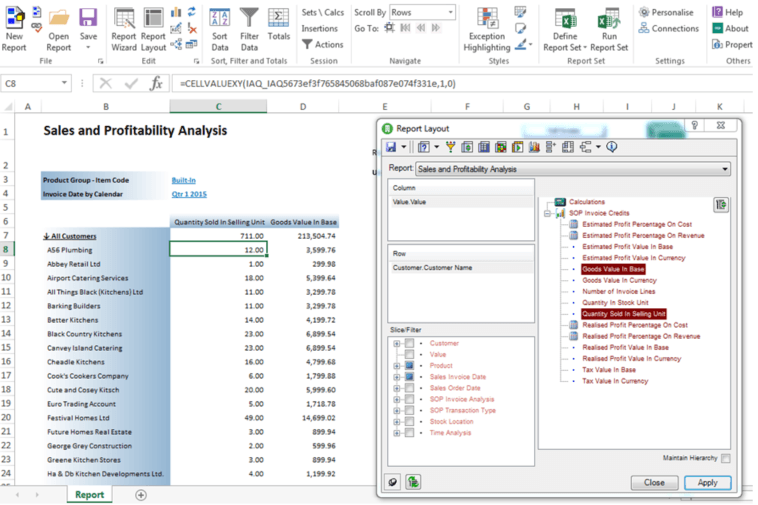 The report loads into Excel, and is ready for you to do exactly what you want with it. 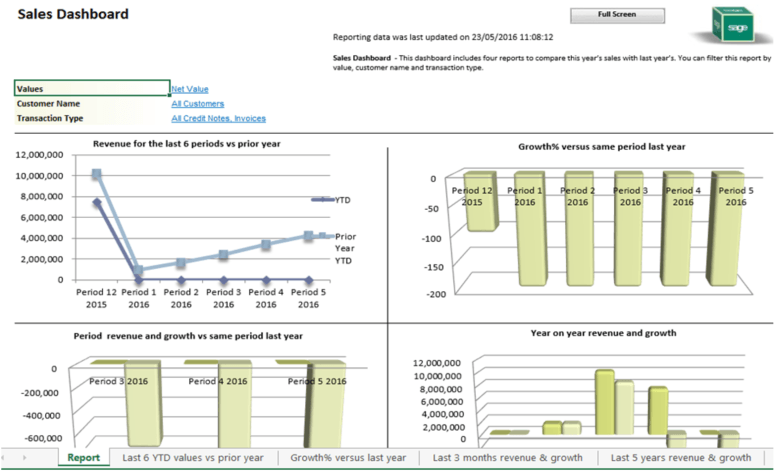 Here are some examples of what you can achieve with ONE report using the Report Layout tool. 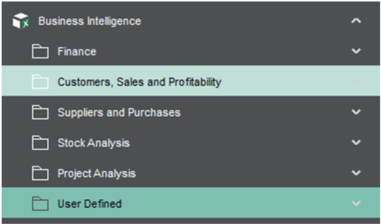 You may already be using Business Intelligence and just need to know how to use it more effectively. Or you might be a novice and need some more structured training. Either way, if you would like to give this brilliant reporting tool a go please contact us at AlphaLogix. We would be extremely delighted to help you get the most out of your Sage 200 reporting!